Reverse racism, like it's cause, is encouraged by the powers that be in the classic divide-and-rule game they play. It does not help any cause inasmuch as it complicates and subsequently obscures ... by adding on to the myriad of created confusions, yet another unnecessary encumbering factor, unnecessary baggage, if you may, for those who want to get their sights clear to easily see the easiest way to a better world. In this system, the creation of factors that obscure the truth, that make it hard for the ruled to easily see how they can throw off the chains of oppression and become their own rulers, is an ongoing process. It is mandated upon those who rule to keep creating causes that confuse rather than illuminate, to mislead the sheep so that getting to target freedom becomes the hardest thing to do, and racism, the idea some races are superior to others, is one of the main games. 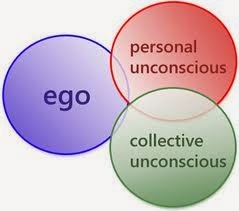 The truth that shall set us all free sooner, the truth I subscribe to, is that exemplified by Carl Jung in his term Collective Unconscious that really means we are all one species, with a collective fund of common experience. Unfortunately, we are all deliberately conditioned from childhood, whites, blacks, yellows, browns, to view others in racist ways, to overlook truths that point out we are all the same. The propaganda is enormous, and amorphous, adjusting shape depending on who the audience is and what issues are relevant at the time. It works on a significant number, in fact a critical number, but also fails on many. There is a world of feedback out there that cannot be falsified or hidden, no matter how much those who want to keep the masses in the dark would like to, no matter how sophisticated the means they develop to control reality get. This info will inevitably be picked up by those with eyes, and it will guide them to consciousness. I have faith that it is this that shall eventually win, and set us all free. I, like others before me, including Martin Luther king, have been to the mountain top and seen the promised land. But, logically, first things first. It is foolish to expect this truth to free a Hutu that's witnessed their loved one hacked to death by a Tutsi from the hate that will propagate internecine strife in his country. For that there is the need for a different kind of guidance. Unfortunately in this world, this playground of the powers-that-be, such guidance, if informed, is destined to step on the toes of those with an interest in the falsification of reality, those who do not want the Hutu to find destination freedom easy to proximate. Those that propose solutions that are different from remedies being pursued with international sponsorship, in earnest, become targets of defamation campaigns and labeling. And we are back to square one. I know this game so well I can actually predict the power-that-be's next move before they have even thought of it. I can in fact think for them, a trick I have learnt the hard way. Here’s my experience, or part of it … I am a Pan-Africanist, and pro much that this stands for. Being pro Pan-Africanist ideals does not make me anti everything else. Yet it is a truth in our world that Pan-Africanists, the people who propose ideas that will get Africa off its knees, out of squalor, off of ethnic, internecine strife by rearranging the political borders so they reflect ethnic realities on the ground, are directly or indirectly portrayed as anti white, or anti the west. I myself am a target of such labeling. It is said about me, suspected of me. Some misguided people I meet worldwide tend to think this of me before they know me, and are quick to express their disapproval of me to me, and others. I am seeing more and more surreptitious attempts to pin the label on my person online. It is draining to fight against such campaigns, and, frankly, impossible to win given the resources at my opponents avail. It is also really quite unnecessary in my case to fight the fiends as I believe I have set the record very strait. I have been writing articles online since it became recognizable as the internet we now take for granted. There are numerous articles out there written by me since 2000. I dare anyone who wants to prove I am a racist at heart to show evidence of this in my articles or books, in my own words. This step by step guide will help you construct a small tent or large sleeping bag sized faraday cage made of wire mesh, which is also portable. Efforts have been made to fold away all prickly ends so that entering and exiting or handling the cage is safe. The cage will suffice in shielding you from the worst of microwave attacks during the vulnerable moment of sleep. It should be temporary, designed to afford you protection when, for some reason, you are unable to construct room-wide shielding, or when you spend time away from a protected area. Follow the instructions carefully in order to ensure that the cage works and is safe to spend time in. Measure your height. Add 30 cm to your height and purchase at least twice the total length of the result, plus 50 cm, of wire mesh. For example, if you are 170 cm tall, then you will need 450 cm of mesh to construct a single layer faraday cage: (170 + 30) * 2 = 400 + 50 = 450. At least a meter of hard wire or an office stapler. Working gloves (if you cannot handle the prickly mesh). Cylindrical piece of wood (broomstick will do) about your height long. Long screws with fitting bolts, or hook-screw or make do with the wire. Cut 50 cm off the mesh. Fold the longer mesh in half along it's length. Ensure that the edges are level. Put the gloves on and, starting from one edge, fold 1 cm along the length of the long end. Fold again, flatten, then staple to the end at 5 cm intervals (see fig. below). Repeat this procedure on the short end, leaving 15 cm unfolded (see fig. below). If you do not have a stapler, then cut 2 cm long wires. Fold each piece at its middle in a "v" shape and hook ends outwards (see fig. below). Place on the folded strip of wire mesh as you would a clipper around paper, and clamp in place with a pliers. Repeat along the folded length at 5 cm intervals. At this point, the mesh should have one end open (see fig. below). Cut the 50 cm piece of mesh in half along its length. Most wire mesh comes in rolls 120 cm wide therefore you should get two strips each 25 cm wide, 120 cm long. Fold each in half along the length and flatten. Place the two together and fold a further 1 cm on the folded sides then flatten. Fold one end twice at 1 cm, Leave 3 cm unfolded, and staple (see fig, below). Place inside open corner of bigger mesh, aligning of the shorter side of cage. Proceed with the folding where you left off and leave 3 cm unfolded. Staple or clamp the folded part (see fig. below). Take the top three layers where they meet with the cage (should be about 120 cm), and fold twice outwards at 1 cm, then staple or clamp with wire at 5 cm intervals. Repeat on other side (see fig. below). 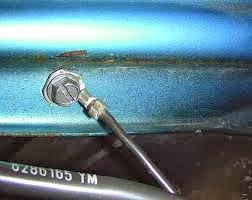 You will need a long bolt, preferably with a hook, with two nuts and two washers on it (see example below). The alternative is a hook-screw or wire. Screw a hole in the middle of the stick for the screw. Place the stick inside the cage and align it in the center. Screw one bolt onto the screw and slip the washer on. With one hand holding the stick inside the cage and the other outside, pass the screw through the mesh from the outside, through a washer and screw into the stick. Screw in place. Fasten the nuts around the washers so that they hold a wider area of the mesh in place as such prevent the formation of a hole. 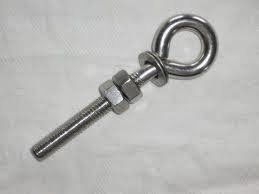 If you cannot get your hands on a screw, nuts and washers, then a hook screw or wire will do. The disadvantage of the last two materials is that they will eventually give you work fixing the cage where spaces appear. The hook-screw should be screwed into place from the outside, and the wire should be wound firmly around the stick then protrude outwards through the mesh. Tie a strong string to the ceiling. Ensure that it does not slant as this could increase side forces on the hole in the mesh and widen it. Ensure that the top of the cage rises to about 50 centimeters before fastening the string. You can always adjust this height to fit your preference later. The earth should be screwed into a corner of the cage with an attachment as shown below. This example is bolted into hard metal. The mesh will require a washer and bolt on the other end. Do not tie, hook, or use any spring based clamp to attach the wire. Due to the loads and sharp fluctuations in currents involved in attacks leaks will be caused which will make the cage unsafe to sleep in. The same measure should be applied when attaching the wire to the earth outlet. Do not use plug-in sockets. Find the ground wire even if it means opening the socket. It is usually green or green and yellow in color, and screw directly to it. Do not attempt to do this yourself if you are not knowledgeable in electricity matters. Find an electrician to do it for you. Finally, you will need to make the parts to ensure the entrance does not leak microwaves into the interior. If you have the skills, then you can place a zipper on the entrance. Otherwise cut at least 12, 3 cm long wires and fashion them in the same manner instructed with the clamps. Bend until the ends are about 0.5 cm apart (fig. 10). Enter the cage by pushing the unstapled folded parts apart. Slip one part of the door over the other again and secure by placing the wires like clips over paper at intervals of 5 to 10 cm. Ensure that they are easy to put in place but can only easily be removed with the fingers, not by limbs and other body parts knocking or rubbing into them. This single layer faraday cage will give good protection from microwave intrusions, but may not block all attacks. From experience, the ideal number of layers for effective shielding starts at 2. Follow the instructions above to create an extra layer that should be slightly longer than the first layer. Slip the first layer inside this second layer. You will have to redo the entrance. The number of layers should be the same throughout the structure. Only in the single layer example does the door have to have more layers. This is in keeping with the need to fold away prickly ends. This cage easily fits in a medium sized bag when folded and can be carried along when you go on trips. -Check that your perps are not using ultrasonic beams. Check your sound defenses or get them if you have non. They are usually easier to place than metal shields. -Check the ground wire. Ensure that it is still firm. You may need to make a habit of unscrewing then re-screwing your ground connection even when you are sure there is no tampering. Some frequency attacks tend to create oxidization that may increase insulation at linkage points. It is essential to regularly unscrew and soft sand these parts before putting them back together again. -Increase the size of the drainage or ground/earth wire. The thicker it is, the better. -Avoid leaning or placing metals bigger than the average plate on or near the cage as they may be used to create hotspots of an intensity that will easily extend into the interior of the cage. If this design makes you claustrophobic, then consider using the same methods to construct a cage that is shaped like a tent. I am also prepared to make cages for targets. I will send packages internationally. Procedures will be followed to ensure that the contents are not tampered with. Email me to make an order. Each cage will cost $ 50 minus postage. Click on the comments link below to read what I am saying about this construction. We shall hopefully get to read what others are saying about this in future. I have tried as much as possible to make this blog as accessible as can be to visitors here so that they (you) do not miss a thing, and the article link in the right hand column is part of that effort. I made a few recent changes that help with this, starting with the "navigation" column (middle right), the "Latest News" link on it, "Featured Article" link on it that sets the tone of this blog so that nothing gets twisted, and very recently. the "Main Page" link on it that helps you see latest posts, in case you come here via a link to an old article and the article list (below the navigation column) has not been updated. There are now a total of 170 articles on this blog, posted within the span of 10 years. The rate at which I post new articles has not been constant, with lows that have lasted for a year when I posted nothing, to highs when I have posted three to four good articles per week. The rate at which I post new pieces is rising. This means we will cross 200 articles posted in a very short period of time. This, plus the fact some of the very first articles have been removed from the menu by third parties (but still remain on the blog), means the blog will be a maze hard to navigate at most, which just means visitors missing out on a lot of good stuff. But if this blog is treated like a normal inbox, it remains possible to read every single post of interest or at least browse them all, bookmark or save the entire pages for offline reading. At the very bottom of each article, if you start from the home page, are links to older posts. By clicking through these you can view every single article ever posted here and pick out those you would like to read, bookmark or save. This piece will be appended to the latest news article and will also have a direct link to it on the navigation column to tip and guide future visitors through the blog so that it does not scroll out of sight of the main page as posts are added. Also, I hope to make a new page to which links to new articles will be posted because I feel the article link in the right hand column has grown too long.